“A vote signifies the willingness to contribute to the development trajectory of the nation. By voting, people connect themselves with the country’s dreams and aspirations,” he wrote. 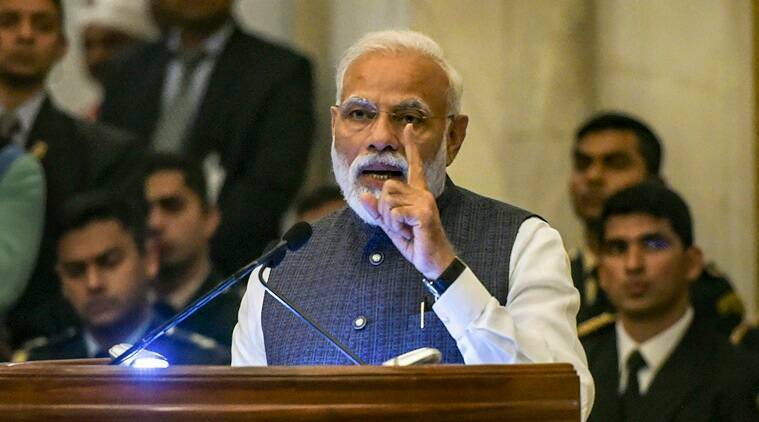 In a series of tweets and a blog post, Prime Minister Narendra Modi on Wednesday appealed to senior politicians and celebrities from various sectors to encourage people to exercise their right to vote in the upcoming Lok Sabha elections. “A vote signifies the willingness to contribute to the development trajectory of the nation. By voting, people connect themselves with the country’s dreams and aspirations,” he wrote. The Prime Minister shared a link where people can register as voters and also posted messages for leading media personalities. He said not exercising the right to vote should create “anguish” among people who do not turn up at polling stations. “Would you want a situation where something happens in the country that you disapprove of and you are forced to think — because I did not go vote that day, this unfortunate situation has arisen and the nation is suffering,” he wrote in his blog. “The last few elections, in various states and at the Centre, have witnessed record turnout. Continuing this encouraging trend, I urge my fellow Indians to vote in record numbers in the 2019 Lok Sabha elections,” he wrote. Modi also tweeted a Facebook post written by Finance Minister Arun Jaitley on corruption. Attacking the Gandhi family, Jaitley said if a forensic audit of their “capital creation” is conducted, the facts will speak for themselves. Referring to a report on a web portal on “unjust enrichment of the extended Gandhi family”, Jaitley said while conventionally many may have relied on straightway corruption through bribery, a new methodology has now been established. Political equity’ results in buying goodwill. It enables you to influence decisions,” said Jaitley, who heads the BJP’s publicity committee for the upcoming elections.